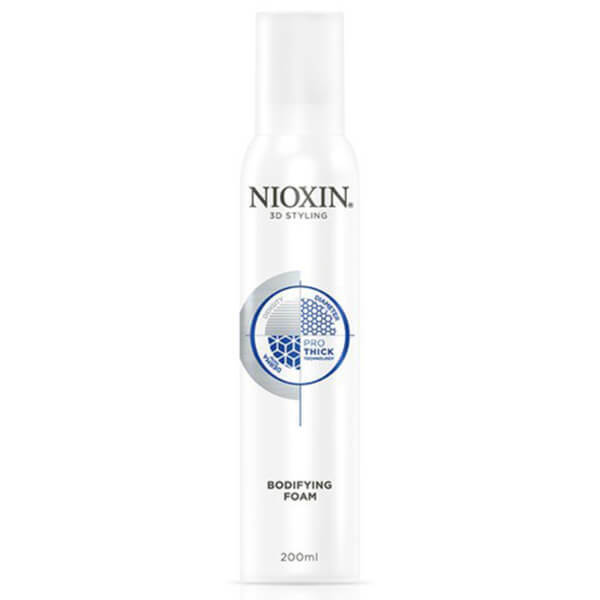 Treat thinning hair to NIOXIN Bodifying Foam, a multi-tasking styling foam that provides sturdy hold and creates the illusion of thicker, fuller looking hair. 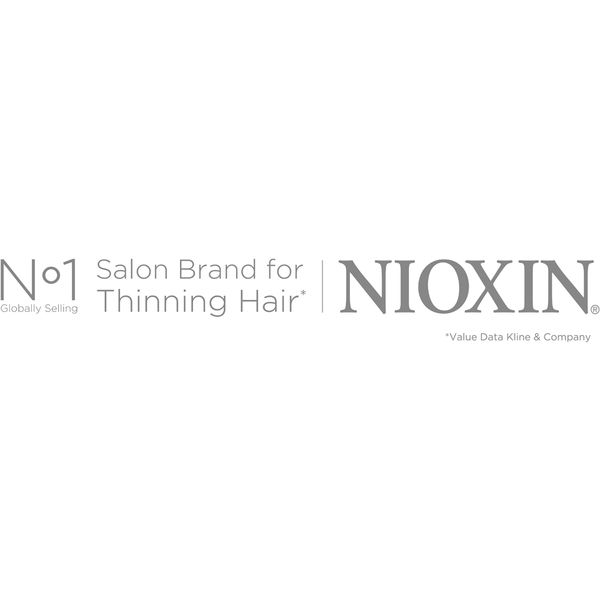 Formulated with PRO-THICK™ technology, its complex of thickening polymers deposit on the hair, forming bonds between gaps in strands to create a fuller-looking appearance. 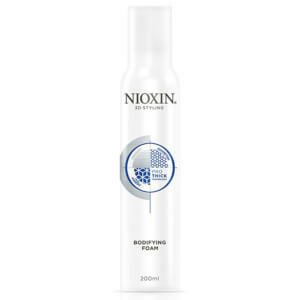 Hair will look thicker and healthier with improved manageability and body. - K.N. Apply to damp/towel-dried hair and comb through for even distribution. Blow dry for volume or diffuse for curl definition.